I'm running my first student Mock Newbery book club this year. I went on our school news, WDMS, and directed students to a Google Form on my staff blog. I have 17 students signed up so far! I'm so excited. This will be my second year assisting Kris Springer, Children's Manager, at St Joseph Countly Public Library with her Mock Newbery club and last year I did one with some of the teachers at our school. I'm looking forward to seeing how this will work. Since Kris has actually been on the Newbery Committee and has done her club for five years, I'll be running my club very similar to the way she does hers! I've only changed a few of the main reading selections. We will meet once a month until December and then twice in January for voting. Students read at least 3 books per month and there are more titles on an extras list. Students are encouraged to read as much as possible from all lists! I will try to read ALL of the titles from both the main selections and the extras list. Are there any crucial books you think I've missed? Students can suggest additional titles and I'm asking that you do that too! 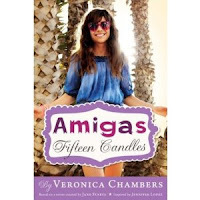 Please remember that books had to be published in 2010 and are for children up to ages 14. I am super excited to announce I will be a second round judge on the Cybils YA Panel! Yay!! What are the Cybils? It's the Children and Young Adult Bloggers Literary Awards. The cool thing about the Cybils is they look for books that have both child appeal and literary merit. These are the books I KNOW my students will read and enjoy. And so will I! Book nominations will run from October 1 - October 15. You can nominate one book in each genre. Books should be published from October 16, 2009 to September 30, 2010. 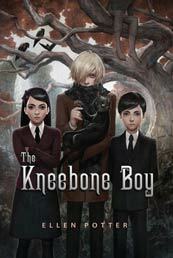 What is the best MG and YA books you've read that fit those criteria? Round 1 judges will be reading like crazy and announce their short list on New Year's Day! Happy New Year, here are some books to read! Round 2 judges will read those books and announce the winners on Valentine's Day! 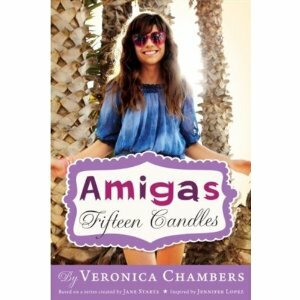 I Love You and I love these books! This is truly an honor for me. I've followed the Cybils longer than I've followed the Newbery or Printz awards! And as a past NF MG/YA panelist, I know how much time and attention these bloggers put into finding the best books! That's one of the reasons they post all the past finalists on the right hand side of the blog, these are the books you want to buy for your library or classroom. Print out one (or all) of the lists posted in the Cybils right side bar and start shopping! Don't forget to nominate some books! 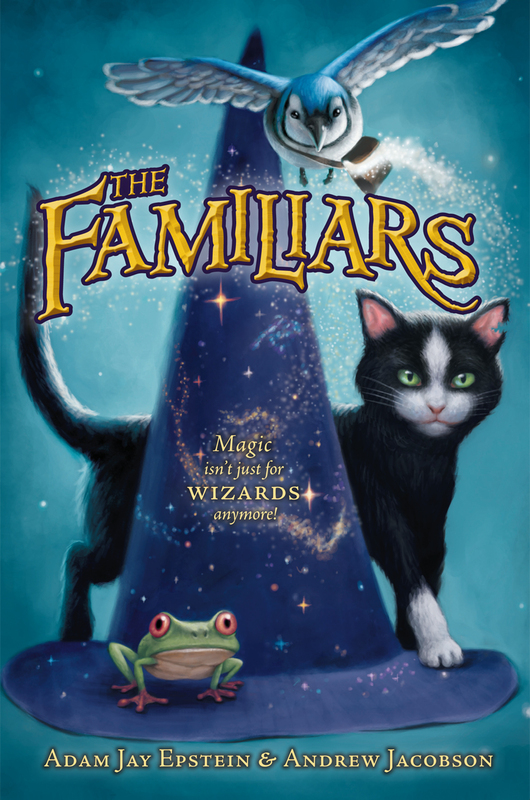 Today is the release day for The Familiars ! As a special treat I have the authors, Adam Epstein and Andrew Jacobson as guests on The Brain Lair. It’s a book I started when I was younger, but because of one assignment or another, I got sidetracked and never finished it. Set in vaguely colonial times, it tells the story of a young printer’s apprentice who goes on the run after his master is murdered. Alexander influenced writers like JK Rowling, Piers Anthony, and Holly Black. It’s big, thick, and filled with pictures. I like comic books. I like YA. I like a combination of the two. And it’s going to be a Martin Scorsese movie. The third installment in the Olympians series. 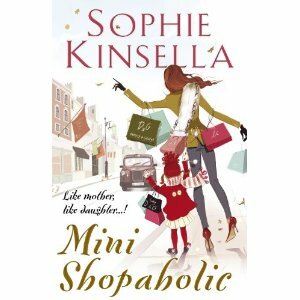 I’m half way through this book, and so far it’s on par with the others. Which means incredibly enjoyable. A cautionary YA tale about a kid who gets mixed up with a terrorist attack on San Francisco. This book came up multiple times during our pre-pub tour while meeting with independent booksellers. Their word of mouth truly drives the buzz on what books to read. Neil Gaiman’s blurb is also so glowing that it made me buy it. Episodic story that takes place on a single day over two decades between Dex and Em. I’m trying to get this in before the movie comes out. Sounds charming and like a fast read. One of the dozen baby books piled high on my nightstand. Yes, I am expecting. And no, I have not started reading any of the baby books. Add me to the list of people who simply can’t wait for this final installment in the Hunger Games trilogy. I totally loved Little Brother, Percy Jackson, Hugo Cabret and now, Mockingjay! These guys know their stuff. If you are looking for a new book to read, please pick up a copy of The Familiars by Adam Epstein and Andrew Jacobson. Meanwhile, check out this great video from their website, The Familiars. You can follow Adam and Andrew on Twitter - http://twitter.com/the_familiars and Facebook - http://www.facebook.com/group.php?gid=86480756047!